Rajshai Range comprises of 8 districts Rajshai, Chapainawabganj, Natore, Naogaon, Pabna, Sirajganj, Bogra and Joypurhat. Another unit is Range reserve Force (RRF). Rajshahi is one of the ancient district of Bangladesh.It is situated on the bank of river Padma which seperates the landscapes of India and Bangladesh.The district Rajshahi commenced on as administrative unit in 1772 based on the jamindary of Rajshahi.Rajshahi district police is composed of 9 thanas and 5 investigation centers.The police stations are Poba,Godabari,Tanore,Mohonpur,Puthia,Baghmara,Durgapur,Charghat and Bagha. Personnel of Rajshahi district police has a luminous history of patriotism in 1971. The Rajshahi district police defended the Pakistan army at 27 March 1971 with their light arms at the very beginning of liberation war.Total 18 police personnel laid down their lives in this war.The then DIG Mamun Mahmud of Rajshahi range and SP Shah Abdul Mazid became the first target of Pakistan army and sacrificed their lives for their motherland at the very beginning of liberation war in 1971. Established in 1984 in the northern joint of Bangladesh, Chapainawabganj district is under Rajshahi division. Once the district was under the rule of Gour king and the historical Sona mosque, Tohakhana and the cemetery of Captain Bir Srestho Mohiuddin Jahangir are located here. This district has a land port and also well known for mango, silk and Gomvira, a traditional folk song. There are two circle offices, five police stations, a police out post, two investigation centers and a police check post in this district. The police stations are Nababganj,Shibganj,Gomostapur,Nachol and Volahat. Narore district is situated on the north-west side of Bangladesh in Rajshahi division. It was the headquarter of Rajshahi district from 1769-1825. It was declared as district in 1984. The total area of this district is 1896.05 sq km. The office of Superintendent of Police is situated at Hazra Natore of sadar Thana. There are seven police stations-Natore Sadar, Singra, Baghatipara, Noldangha, Boraigram, Gurudaspur and Lalpur under two Circles -- Natore and Boraigram. There are two investigation centers and two police outposts in this district. Naogaon district police has started functioning in 1984. Covering an area of 3435.67 sq km, Naogaon is renowned for many tourist spots including Sumpur Bihar and Rabindra Kachari at Parishar.The district police has 11 police stations, three circles, three police outposts, one investigation center and one police camp. The police stations are Naogaon sadar, Raninagar, Atraei, Bodolgasi, Mohadevpur, Niamotpur, Manda, Potnitola, Dhamuirhat, Sapahar and Porsha. Bogra is one of the oldest towns in northern Bangladesh under Rajshahi Division. The area of the town is approximately 71.56 sq km and it is about 10 km away from Mahasthangarh - the earliest capital city of Bangladesh, formerly known as Pundravardhana. 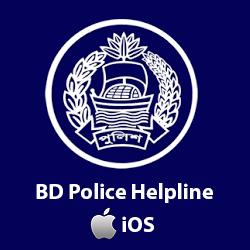 Bogra district police comprises office of the Superintendent of Police, two circle ASP offices, twelve police stations, one district detective branch, four police investigation centers, ten outposts and one In-service training centre. 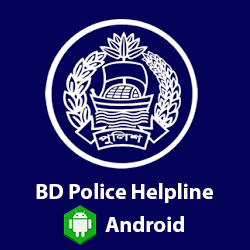 The police stations are Bogra sadar,Shibganj, Shonatola, Gabtoli, Shariakandi, Dhunot, Sherpur, Nandigram, Adamdighi, Dhubcharia, Kahalu and Shahjahanpur. The formal journey of Bogra district police began with the joining of Major William Whiler Home as the first SP on 12.01.1875. During the British rule 25 SPs served here and during the Pakistani rule another 21 SPs served in Bogra. Mr. SM Awlad Hossain, ppm, worked as the first SP of independent Bangladesh. Bogra district police played a glorious role in the liberation War 1971. A stage named "Masir Uddin Mancha" has been established in remembrance of the police members who laid down their lives in 1971. Pabna is a district in north-western part of Bangladesh. It is the southern most district of Rajshahi division having an area of 2,371.50 sqkm, under 9 upazillas. Bangladesh mental Hospital, Pabna is a renowned hospital in Bangladesh beside Pabna main town. It has 11 police stations, 7 police outposts, 8 camps and 4 police investigation centers. 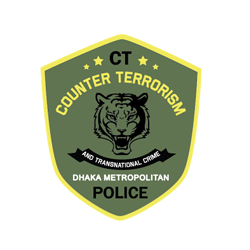 The Police stations are Pabna, Eshordi, Atghoria, Chatmohor, Vhangura, Faridpur, Sujanagor, Bera, Shathia, Ataeikula and Aminpur. In 1971, Pabna district police was the first to protest against the Pakistan occupation Army. A total of 34 members of Pabna district police sacrificed their lives in their fight against Pak army in 1971. Sirajganj, a part of Rajshahi division and having 2497.92 sqkm area, was established in 1984 and it is surrounded by Bogra district on the North, Tangail and Jamalpur districts on the west. The office of district Superintendent of Police super is situated at Ambagan in Sadar Thana. There are 12 police stations here: 1) Sirajganj Sadar 2) Belkuchi 3) Chauhali 4) Kamarkand 5) Kazipur 6) Raiganj 7) Shahjadpur 8) Tarash 9) Ullapara 10) Enayetpur 11) Salanga 12) Bangabandhu Setu West. The district has 3 police circles: Sirajganj, Shahjadpur and Raiganj, 4 police outposts and 2 police camps. Situated on the north-western region of Bangladesh, Joypurhat is surrounded by Dinajpur on the North, Gaibandha and Bogra on the East and Naogaon on the South. It was turned into a district in 1984 and has an area of 956.44 sqkm. Joypurhat has 1 police circle, 5 police stations -- Joypurhat, Panchbibi, Khetlal, Akkelpur and Kalai, 2 police outposts, 1 traffic unit. 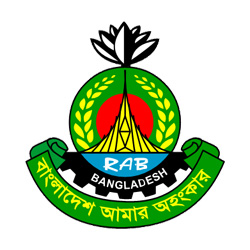 Range Reserve Force (RRF), Rajshahi, under an 8.427 acre of land, is one of the oldest units of Bangladesh Police. It is situated on the bank of the river Padma in Nabinagor mouza of Rajshahi district. Unit in charge is Commandant (SP) and supervised by the Range DIG Rajshahi. Primary duty of this unit is to help metropolitan police and district police in maintaining law and order.